Hi Everyone, and welcome to Day Two of Meet The Authors September! I hope you absolutely loved Akemi Dawn Bowman's Interview as much as I did and I hope you got you've gotten some of your giveaway entries in! For Day two, I have with the the ABSOLUTELY BRILLIANT Jennifer Mathieu, whose latest novel is supposed to be badass and feminist and everything we need. The book is called Moxie and it releases September 19th! I'm so excited that I got the chance to interview Jennifer for Meet The Authors because I could not be more excited about her book (plus, she's giving out feminist YA recommendations which are AWESOME) so please welcome Jennifer Mathieu onto the blog. 1. 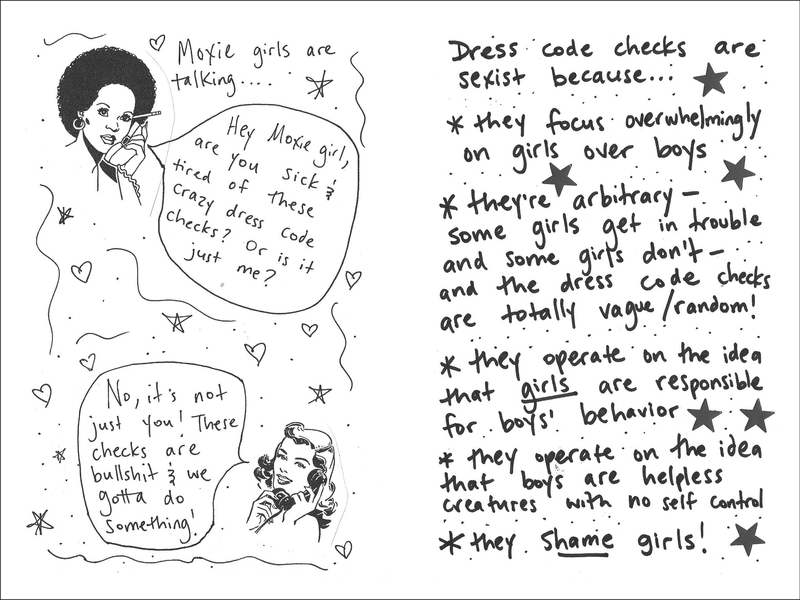 What are some of your favourite YA and non-YA books that highlight feminism? 2. In all the four books that you've published, what has been your favourite scene to write so far? Oh wow, that is so hard to choose! I only have one child, but I imagine picking a favorite scene must be how mothers who have multiple children feel when asked to pick a favorite child! :-) I would say that one running theme for all my books is that I usually love the final scenes very much - not because the book is over and I'm done writing! - but because I usually start off my books with the ending scene in mind, and it's usually a powerful and meaningful moment for the characters that I work so hard to craft well. The ending of The Truth About Alice with Kurt and Alice on the porch is especially meaningful, I think because that was my first published novel. 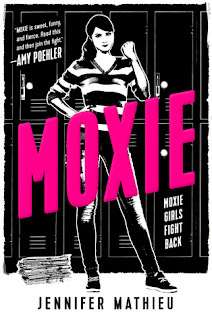 In short, Moxie is about a gang of teenage girls in a small Texas town who take on the sexist culture of their high school and WIN! 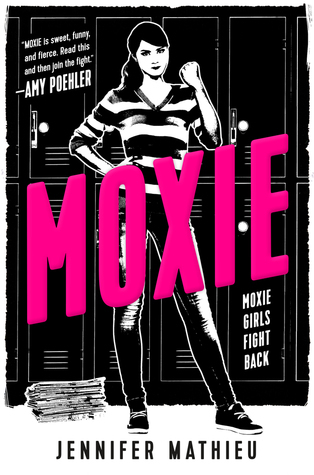 The main character is a 16-year-old junior named Vivian Carter who is tired of the hallway harassment, the unfairly implemented dress code, and the fact that the football players are treated like gods, so she adopts her mom's old Riot Grrrl tactics and creates a zine (like a homemade newsletter) called Moxie that she distributes anonymously in the bathrooms of her school. 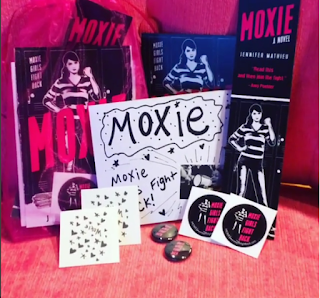 Moxie catches fire and soon girls from every group are adopting the Moxie movement as their own as they work together to fight back against gender inequality and sexism! If you don't know what the Riot Grrrl movement is, it was a feminist punk rock movement out of the Pacific Northwest and Washington DC in the early to mid 90s and it was a lot of fun! 4. 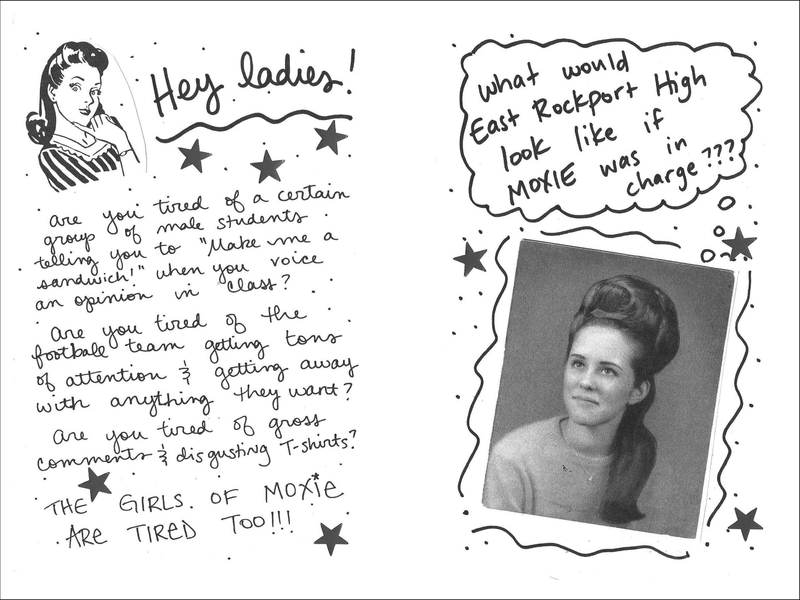 If you could give one piece of advice each to Moxie and your high school self, what would it be? If I were going to give a piece of advice to my high school self it would be that all of what you're enduring right now will help shape you into the person you are going to be in the future. I hated high school so much and was miserable for so much of it, constantly anxious about how I was being perceived, worried I was "too weird" for other people, and in general not feeling like I fit in very much. Looking back now I can see that those years were instrumental in shaping me into an adult who can write for teenagers and teach them, too. I would also tell my high school self that I was absolutely correct in my perceptions and yeah, a lot of the crap in your high school *is* sexist and gross. I would do a lot of validating! 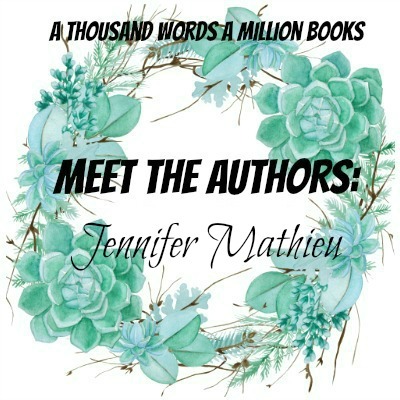 Young adult author Jennifer Mathieu is a writer and English teacher who lives in Texas with her family. A native of the East Coast and a former journalist, Jennifer enjoys writing contemporary young adult fiction that treats teenagers like real people. 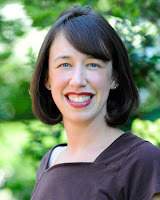 She is the author of several award-winning novels including The Truth About Alice, Devoted, and Afterward, all from Roaring Brook Press/Macmillan. Jennifer loves to eat and hates to cook! Blurb Description: An unlikely teenager starts a feminist revolution at a small-town Texan high school in the new novel from Jennifer Matheiu, author of The Truth About Alice.